Ever since taking over the Executive Vice-President of Football Operations for the Denver Bronco’s in January of 2011, Elway has been doing an amazing job. The Broncos consistently play 31 players combined on both sides of the ball on a regular basis. Of those 31, Elway and his staff have brought in 23 of the 31. That’s an astounding number in just over a year and a half. That kind of turnover is not unusual in the NFL but it is almost always associated with a team that is struggling or re-building. Elway has changed the Broncos from laughingstocks to one of the favorites in the AFC in less than two years. There’s no doubt that Elway and the Broncos got a little lucky with Peyton Manning but it was Elway who got him to come to Denver. That’s not me saying that, that’s Peter King of Sports Illustrated and any number of people on ESPN. All of them will tell you that it was Elway’s masterful approach that brought Manning to Denver. On Tuesday, Nov 6, John Elway finally received national recognition (long overdue and well deserved) for his remarkable turnaround of the Denver Broncos. Posted by PFP Sports and Celebrity Talent Agency, a speakers bureau and top booking agent for football speakers, athlete appearances and endorsements. 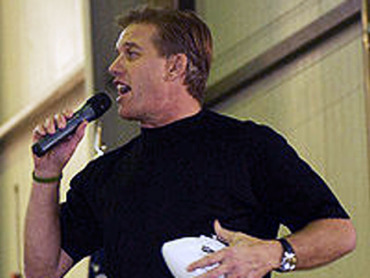 If you would like to book John Elway for a speaking engagement, appearance, endorsement, autograph signing or special event, you can request John Elway speaker and agent information from PFP Sports and Celebrity Talent Agency. For more information call 800.966.1380.